Traveling from Paris to Venice? Stop by Switzerland! 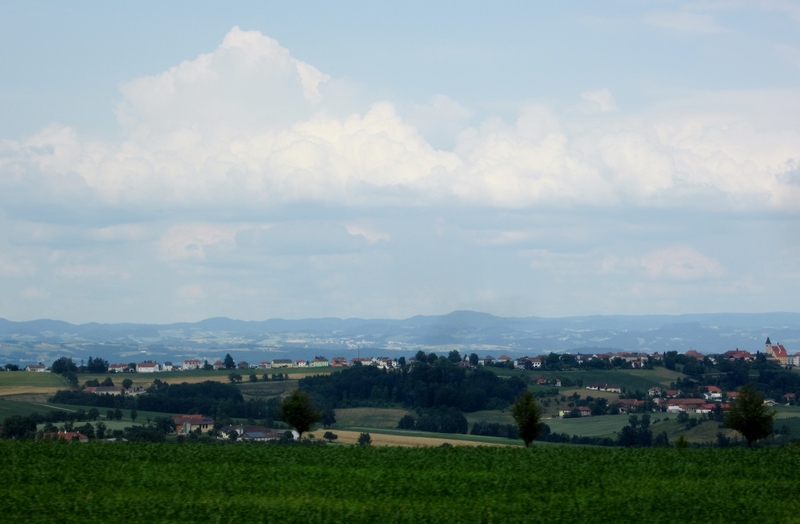 We left Bartenheim and France and headed into Switzerland. It was nice to drive back into the Alps and the scenery I had grown to love. Very German/Austria like…and even German street signs once again. Some how none of us were able to pick up any French, but we all know some basic German now. We stopped in a lovely small Swiss town called Appenzell. Incredible scenic town in the foothills of the Alps. The houses were bright and painted as they had been in Germany. We roamed the cobblestone streets for a couple hours, went into another breathtaking little church, and stopped in a café for a couple coffees and assorted chocolates. A very good stop. 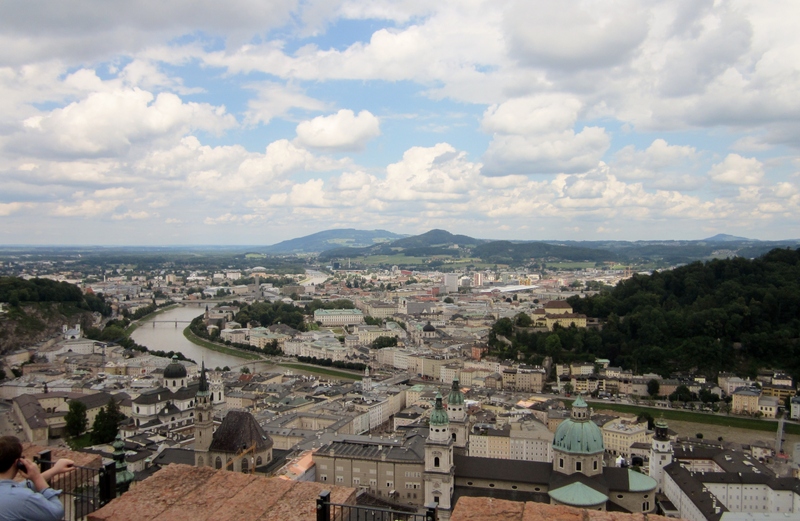 After a typical Austrian breakfast of various homemade jams, breads, cold cuts, cheese, hard boiled eggs and coffee…we were off for our day in Salzburg. Rain was in the forecast for afternoon, so we headed to the Old Town to walk the Rick Steves walking tour under a warm sun. After breakfast we headed to the Hundertwasser Museum. It contains the modern art of Viennese Friedensreich Hundertwasser. Neither Michael or I have ever been fans of modern art, but all four of us loved the art of Hundertwasser. It is really amazing, and I wish I could have brought some home. The museum is one of his buildings, which he built with irregular and undulating floors decorated with mosaic tiles. The walls, windows, and doors are all uneven as he didn’t believe in straight lines. The building was amazing, as was a nearby apartment complex that is still lived in. 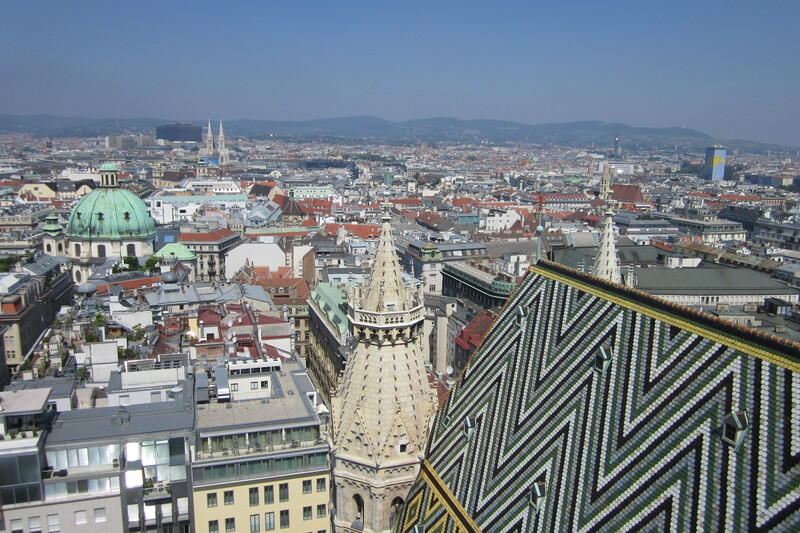 Vienna…the capital of Austria and for 640 years the capital of the Austrian-Hungarian empire. It is a beautiful city without skyscrapers and full of some amazing architecture. It was our first stop in Europe and the farthest east. The four of us (Hubbie, Nathan 13, Hailey 10) flew from Dallas to London, then to Vienna. Our oldest (Caitlyn 17) was in Nicaragua and would join us after a week flying to Munich by herself. Long but uneventful flights where sleep unfortunately eluded us all. We arrived at 1:30 pm to an unusual heat wave exhausted. But…we were in Europe! The initial excitement helps with the jet lag, but really it just takes a couple days to recover.